Out of all the trees in the world, the ash is the most closely bound up with who we are. From tool handles to arrows, wheels and bowls to furniture and baseball bats, humans have made more and varied use of ash than any other kind of wood. Journeying across the English-speaking world, Robert Penn meets craftsmen with rare skills and a knowledge of the properties of ash developed over millennia. He finds that ancient traditions still thrive, and he reveals how the people working with this wood every day have a particular and intimate understanding of the physical world. Yet, Penn argues, the world's remaining ash forests also face urgent perils that threaten this unique repository of human history. 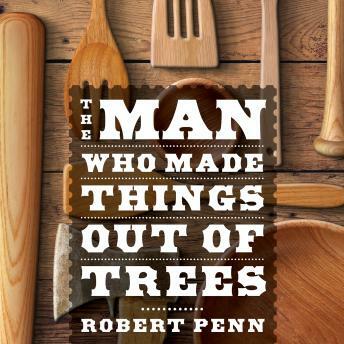 Brimming with surprising research and vivid nature writing, The Man Who Made Things Out of Trees describes our ages-long relationship with forests and revels in the pleasure of making things by hand.